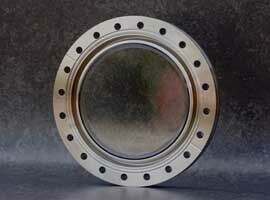 Vacuum viewports are fabricated in viewing diameters from 16mm to 14Omm. 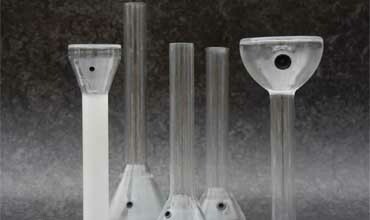 These are made from optical quality ‘Kodail’ glass sealed into ‘Kovar’ spinnings which are then welded into vacuum flanges. All viewports are custom designed and made for exact specifications. 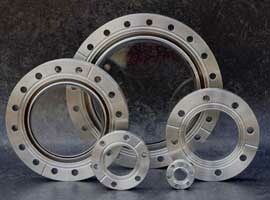 Viewports can be supplied in ‘Conflat’ and ISO KF or LF flanges. Special viewports with different window materials, e.g. 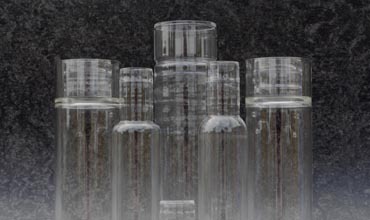 magnesium flouride or quartz, viewports with lead glass, viewports with anti-reflex coating can be supplied as can non standard vacuum flange configurations. What is the material of the flange/welds and is it magnetic? 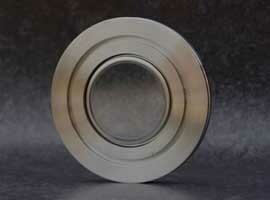 Flange material is 304L stainless steel, Spinning material is Kovar and it is highly magnetic. What is the maximum heating rate? 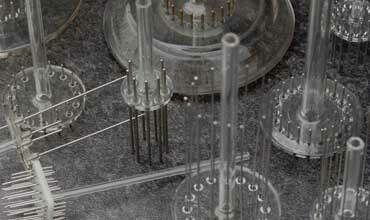 What is the refraction index? 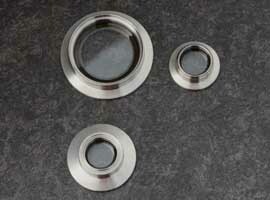 Are the viewports cleaned according to UHV-standards?